Successfully fit people aren't privy to secret superpowers or lottery ticket DNA. Learn about some of their habits and practice them to achieve success in your own life! It's the million-dollar question: How do the fit stay fit? 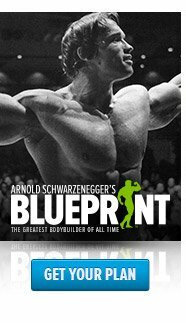 At Bodybuilding.com, we're uniquely qualified to know the constellation of factors which separate the successful from the unsuccessful when it comes to fitness. That's because we have BodySpace, which is more than just the largest social media site in the world dedicated to the fit-minded. It's also a vast data pool that amounts to the world's largest fitness study, a research effort that we refer to as the Strength in Numbers Study. Our Strength in Numbers findings are based on BodySpace members who actively make progress toward their stated goal, whether it's weight gain or loss. If you move toward your goal on BodySpace, we consider that fitness success. WHAT IS STRENGTH IN NUMBERS? The Strength in Numbers Study is based on data collected from our very own social fitness network, BodySpace. Our findings come from BodySpace members who successfully make progress toward a stated fitness goal, whether it's weight gain or loss. 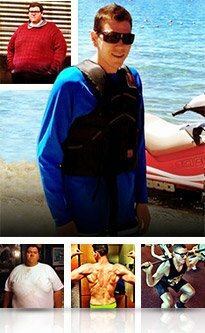 Every time members post to FitBoard or add a picture, they contribute to the study. Every time you track a workout, post to FitBoard, add progress pics, and engage in myriad BodySpace activities, you help the community at large. You help us understand the habits that generate fitness success. If you're an active BodySpace member, you contribute to the greater fitness good. No matter how many numbers we crunch about crunches, no matter how much digits we slice and dice about getting sliced and diced, shaping up still requires one person to dig deep and make a commitment to become better. for all your tremendous hard work! New habits must be formed, changes must be made, and reproducible motivation must roar to life. Everyone walks their own path toward their goals, but simple daily habits that reinforce eating better, exercising regularly, and sleeping more still lay the groundwork for a fit life. The majority of fit individuals don't spend hours in the gym, live on a diet of cabbage, or nit-pick the optimum amount of holy water to achieve immortality. Instead, fit people share a set of outrageously simple and positivity-reinforcing habits. These are the eight habits of highly successful fit people, according to the first major batch of our Strength in Numbers data. 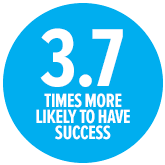 Our Research Says: People who track their workouts are 3.7 times more likely to have success toward their fitness goals. Memory sure works in a funny way. If you've been relying on it to recollect the exact number of reps and the weight for each of the five (or was it six?) exercises you did two Tuesdays ago, the only exercise you'll be doing at the gym is frustrating yourself. It's more than merely a matter of organization. Neglecting to track your workout via an online tool or a journal is a rookie mistake, one that can lead to unproductive workouts and a stark absence of recognizable progress. 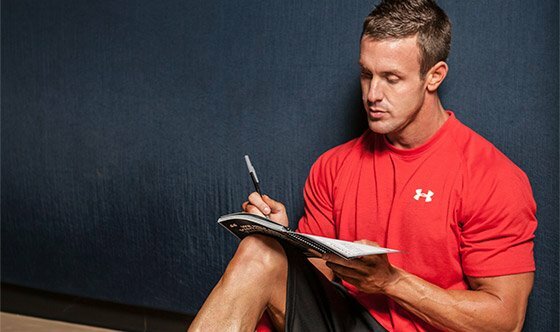 Simply writing down your workouts makes you more aware of what you may or may not be doing. You might be surprised to learn that you were, in fact, doing only 20 minutes of cardio rather than 30. Additionally, a visual record—especially one that other people can view—holds you accountable to completing your workout, gets you fired up about measurable progress, helps you avoid exercise plateaus, and could even engage you in some friendly competition among peers. All of these serve to help the fit stay fit—or in some cases, get even fitter. 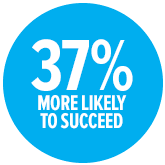 Our Research Says: Once a person completes week 6 of a 12-week program, they are 47 percent more likely to finish the trainer than when they've only completed up to week 5. There are literally hundreds of exercise plans out in the wild. It's not uncommon for a newcomer to struggle with finding the "perfect" exercise blueprint. When it comes to picking out a suitable workout program, the best method is to just go with one that fits your goal and difficulty level, and then feel out the program for at least six weeks. Why? If you're new to exercise, your body undergoes major changes as it attempts to wire your motor units and brain to become better accustomed to new movement patterns. Typically, it takes 4-6 weeks for your body to adapt and for beastly gains to come out of hibernation. It is for this reason that both sticking it out the first six weeks of the program and tracking your workout—the first habit we discussed (see the synergy? )—are so crucial. In doing so, you can make smart tweaks to turbocharge your program and view progress in numbers, even if they don't immediately make themselves apparent on your body. Our Research Says: People who post progress pictures are 3.2 times more likely to have success toward their fitness goals. You may laugh at the prospect of someone who poses in front of the bathroom mirror, arm outstretched, ready to snap a picture. Maybe you actually know someone who does this, but it turns out there may be something scientifically sound to the "selfie." Progress photos can help you track your progress. Each snapshot in time showcases subtle changes that you might otherwise have never noticed ("Wow, my abs look like they could crush tomatoes here!") and incidentally lights up certain regions in your brain related to euphoria. These visual milestones trigger a stronger and stronger release of dopamine, a feel-good brain chemical strongly linked to reward. As you ease the psychological tension between your desire to reach your fitness goal and the hard work needed to achieve it, you will uncover the drive necessary to keep pursuing your goal because you're closer than you were before. It might feel a bit awkward at first to take photos of yourself, but these quick snaps can help keep you grounded and motivated. When you advance, they allow you to identify weak points or lagging body parts and zero-in on what you need to improve. Our Research Says: 50% of people who posted to FitBoard have success toward their fitness goals. When you first start your fitness journey, summoning motivation day-in and day-out can be likened to moving a hundred-ton hippo that won't budge an inch no matter how much you goad, hoot, and prod it. Is this genetics or laziness? Some studies seem to think motivation is inherited, but the literature on motivation itself is still pretty unclear. What is clear, however, is that intrinsic motivation doesn't always come easily, so it has to sprout elsewhere. Set a Goal. Find a Plan. Track Your Progress. Stay Motivated Daily. Join BodySpace! Enter the Internet sub-genre of fitness motivational pictures and quotes, aka "fitspiration." Popular quotes range from "A one hour workout is only 4 percent of your day. No excuses!" to "Believe yourself and you are halfway there," to the more abrasive and succinct, "Shut up and train." These powerful quotes and images are staples on FitBoard, Pinterest, and Tumblr. Just a cursory look through any of these places will hit you with enough extrinsic motivation to kick your arse in gear. The best type of motivation, though, is realizing that you enjoy working out and can gain a sense of achievement from doing something awesome. For this reason, tracking your progress through workout logs, pictures, and even occasional medical checkups is incredibly important. Our Research Says: BodySpace members with 10 to 30 friend connections find success toward their goals 37% more than members with 1 to 9 friends. Few things are 100 percent enjoyable when done solo. For instance, the struggle of a 6 a.m. workout is instantly made better with a workout buddy (and a hit of caffeine, of course). Numerous studies reinforce the idea that social support helps create a positive feedback loop to spur on a person's positive self-perception and keep him or her exercising. A study that came out of the Stanford Center for Research in Disease Prevention shows that social support specific to fitness kept people committed to exercise measurably better than just general support. It's no wonder that fitness conquests are likely more successful among groups which channel the same exercise mindset, like on BodySpace or group fitness classes. Interestingly, a study conducted at Kansas State University found that it's better to buddy up with others who are fitter than you are. It sounds like counterintuitive advice, but hanging with someone stronger or fitter is the perfect motivator, because apparently motivation and harder bouts of effort often germinate from "feelings of inadequacy." These feelings can push you toward improvement. 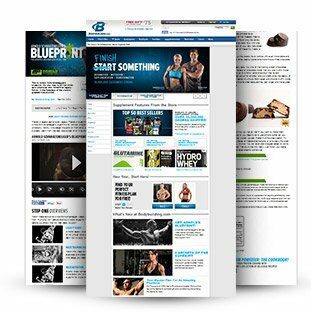 Our Research Says: People who have success toward their fitness goals read an average of 7 Bodybuilding.com articles per month. As mentioned before, attaining better fitness at the individual level isn't an exact science—at least not yet. New research on a variety of nutrition and fitness topics hits multiple scientific journals daily, nightly, and ever so quickly. Unless you consume content regularly, it's difficult to keep up with the latest skinny. Of course, the Achilles' heel in all this is that such information amounts to the good, the bad, and the ugly. You have to apply some critical thinking to separate the chaff from the wheat. Inevitably, you'll come across grand claims with pseudo-scientific backing and a lot of plain old-fashioned bro-science, so an active mind and keen eye are essential. Don't think you have to try every new program under the sun, either. Rather than implementing everything all at once, save certain tips and techniques for later. Consume quality content regularly, but always examine it through the lens of your own goals, body, and lifestyle. 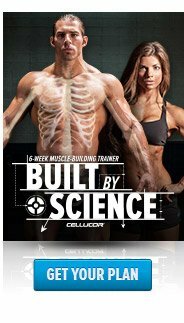 Our Research Says: People who have success toward their fitness goals return to Bodybuilding.com an average of 8 days per month. Through our Strength in Numbers Study, we discovered that the most successfully fit people in the world start off by doing what you're doing right now: Being here and reading this. This habit goes hand-in-hand with Habit No. 6 and proves that you're on the prowl for information, education, and constant self-improvement. Being engaged in such activities will help you stay committed to fitness for life. Whether you're looking for information, recipe ideas, or social support, you're in this for the long haul. Granted, these supplements won't make or break your fitness progress. After all, fitness is based first and foremost on smart training and precision nutrition. 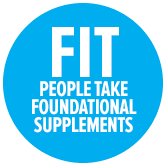 To be effective, dietary supplements must stand upon a solid foundation of whole foods and consistent effort. Supplements augment and can enhance your hard work, but they won't do any of that work for you. In addition, it often isn't possible to get all the necessary nutrients exclusively from real foods. Some chalk it up to inconvenience—a wholesome meal may just be out of reach simply because of the environment or time constraints. Other times the problem might be more complex and further out of your control. Then there's the growing dearth of nutrients from food itself due to modern agricultural practices, soil depletion, long carbon footprints, and excessive processing. The nutrients present in food today aren't in the same concentration as food grown 50 years ago, much less hundreds of years ago. Iceberg lettuce, for example, now has about as much nutritional value as cardboard. 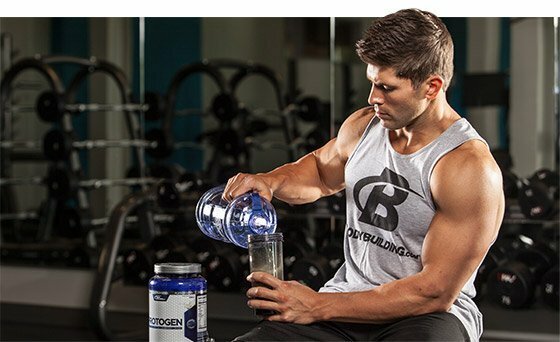 In these instances, supplements—in particular protein—provide the extra nutrients needed to support the fit life of exercising individuals, especially people with specific body composition or strength goals. If you want to learn more about the popular supplements and see where they fit in your strategy, you can learn a thing or two from our supplements page or the category guides linked to the ingredients above. Are you already a BodySpace member or an active part of another online fitness community? Sound off in the comments below and let us know the habits which work for you. Don't forget to give yourself a hug for beginning or continuing your fitness journey with others like you! National Institute of Mental Health. "Brain signal boosts as monkey nears reward." NIMH. NIMH, 30 May, 2002. Kansas State University. "Burning more calories is easier when working out with someone you perceive as better." ScienceDaily. ScienceDaily, 26 November 2012.